In this breakneck era, everyone is trying to overpower the others in some way or the other. With the evolvement of digitalization, the demand to grow and persistently develop digitally has become the need of the hour. According to experts, digital technology is so broad that it can encompass almost everything. The advent of digitalization enhanced the importance of digital marketing to such an extent that in every nook and corner of a city, one can find digital marketing agencies. Bangalore is no exception, hosts some of the top agencies in India that cater to not only local and national companies but also international companies. Choosing the right company can be an arduous task, so here are the names of some of the best digital marketing agencies which will understand your company needs and create a marketing strategy that best suits you. Now choose the right company to kick-start your business and help it reach new heights of success. You name it and we are there to address all your digital marketing needs. DigiMark, one of the top digital marketing agencies in Bangalore, not just boasts of its services but lives up to it confidently and successfully. We are almost a 5-year-old company with more than 50 successful projects. With an aim to provide an end-to-end digital solution, we started our journey with some reputed clients from various sectors like Information Technology (IT/ Software Products), Real Estate, FMCG (Consumer Goods), Education (Schools/ Colleges/ Training Institutes), HealthCare (Hospitals/ Clinics/ Doctors), Non-profit Organizations, Government sector, Startups, Manufacturing Industries, Film Industry, Hospitality (Restaurant/ Resorts/ Travel/ Event Planning/ Theme Parks) etc. DigiMark focuses on quality more than quantity. To provide an edge, we work towards it with a planned strategy after a proper market research. By consolidating the utilization of technology, creativity, insights and analytical expertise, we enhance the promotion of products and services. We treat the work of every brand/ company/ organization, small or big, meticulously. DigiMark stands out from the rest with its all-encompassing service offerings that are at par with the current trends, tools, and technology. We offer a plethora of services like SEO, SEM, SMM, content marketing strategy, map search optimization, paid search (Adwords), website design and development, domain registration, web hosting, e-commerce solutions to name a few. We understand that it’s not just another project, but an opportunity to prove what we expertise in and build a long-term relationship with our clients. WebChutney, Bangalore’s leading digital marketing agency is the place to go to if you are looking to draw customers towards your brand. Located out of Richmond Road, their customers include Barclay’s, Airtel, and Proctor and Gamble. They provide SEO services, mobile and social media marketing and website design. Geek Creative Agency, a top digital marketing company in Bangalore is based out of Indra Nagar. It works at providing a creative marketing plan for the customers. This award-winning SEO agency will give you a wholesome experience in Branding, Advertising, Web designing, and handling your social media and online engagement. If you choose this digital marketing agency, you will get a wonderfully creative marketing experience. 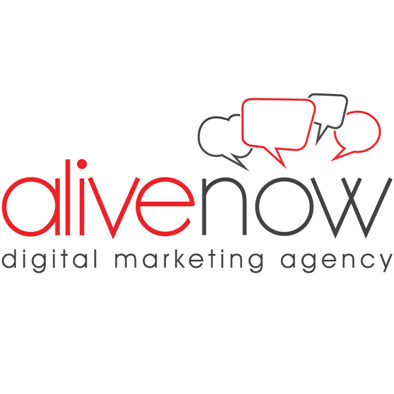 AliveNow, a digital marketing agency based out of Indira Nagar was started in 2009. Since then, the SEO agency and its owner has scooped up many awards. They have worked with many international names as well as small local businesses too. If you want your name alongside Nandos, Hard Rock Cafe, ITC, Hyundai etc., you might want to check them out for your needs. Webenza, the newcomer in this list has just crossed three years since its inception. They have managed to garner a corner for themselves in the area of digital marketing where the competition is pretty strong. They provide SEO services, blogging and social media marketing. This relatively small company of just 50 professionals have managed to outdo many larger companies with a much bigger workforce. AdSyndicate is one of the oldest digital marketing agencies in India with around offices in 25 cities. This digital marketing company provides Digital Marketing, Social Media management, Search Engine Optimization, chatbots and lots more. Their client list is varied including Union Bank of India, Hyundai, and Western Digital etc. WATConsult, the world-renowned digital marketing company has one of their branches in Bangalore. They have the most brilliant minds in their area of expertise. Recently they were acquired by the advertising giant Dentsu. Even though they have been just nine years in the market, they have proved themselves to be a pioneer in marketing and placed themselves ahead of the competition repeatedly. If you are looking to take your brand out there then look no far than Digital SciFi. Operating out of Hoodi, they offer SEO services, create a brand, developing a brand, and also generate leads for your brand. They also research and identify ways to reach potential customers and generate revenue. DigitalLove, a digital marketing company located in Domlur is an old hand when it comes to digital marketing services. Their unique way of formulating a marketing strategy focused on optimising profits have worked well for their customers. They also provide SEO and SMO training. They are also a Google Certified Partner with decades of experience in Market research, SEO Ranking, lead generation, and conversion. A relatively new addition, this seven-year-old digital marketing company has already worked with many big names in the market. Located out of New Thippasandra, they take on an innovative approach by focussing on adding value to their customer’s organizations. They have a well-proven track record in providing web, social media and mobile solutions. Great article that was. You could certainly see your enthusiasm in the work you write.The sector hopes for even more passionate writers such as you who aren’t afraid to say how they believe. At all times follow your heart. The list is very good. All the digital marketing companies in bangalore mentioned are genuine ones. It’s easy for us to evaluate the companies for our digital marketing. Thanks for the list. I have been searching for the list of Digital Marketing Agencies over the Internet. I stopped by your blog. As I want a quotation from all top Digital Marketing Agencies. You have compiled a great list. Why you should increase your Digital Ad spends than traditional ads?